Most of the leaves have fallen and the air is starting to turn crisp here in Maine! Autumn is arguably my favorite time of year. Between the beautiful colors, cozy warm sweaters, and pumpkin flavored goodies, it really cannot be beat! And, usually there's no snow to shovel, which is always a plus! 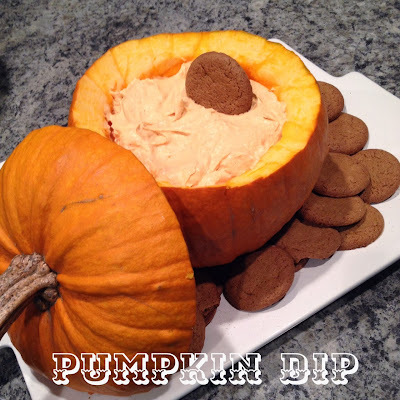 The pumpkin dip is a recipe that my friend Teal shared with me...it was a hit at her party and so I made it for mine. It did not disappoint! Everyone loved it and, again, it's SO simple to make. It's also pretty healthy considering it's a sweet dip! -Mix the pumpkin, packet of instant pudding, and pumpkin pie spice together with a whisk until combined. Stir in the thawed tub of whipped topping then refrigerate for one hour before serving. 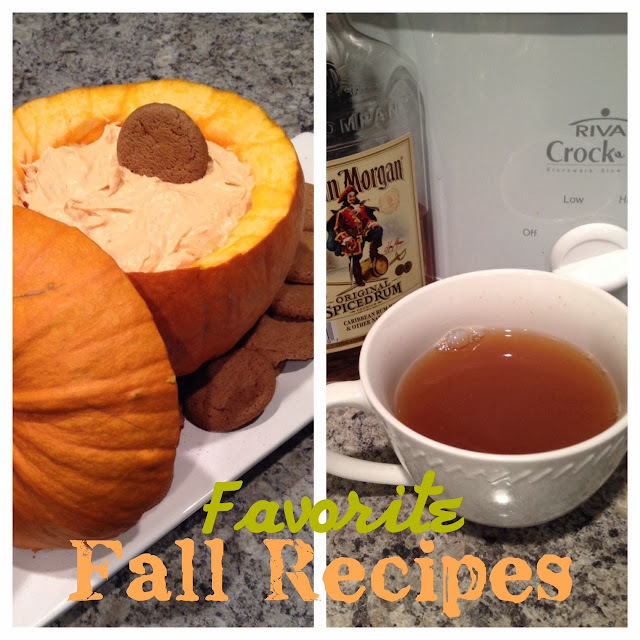 Use the ginger snaps to pair with the dip! I hollowed out a small pumpkin (again, thanks to my friend Teal for the idea) in which to serve the dip! 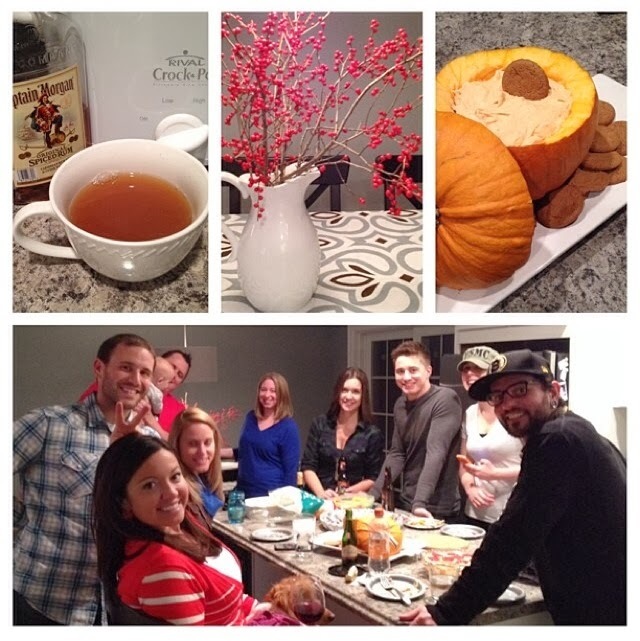 Fun and festive...and the dip is sooooo good paired with the ginger snaps! -Wrap the cinnamon sticks and cloves in cheese cloth and place in the bottom of a slow cooker. Add the brown sugar. -Pour the apple cider into the slow cooker (you probably won't be able to fit the whole gallon so just fit as much in as you can) and stir to dissolve the brown sugar. -Heat the mixture on high until it bubbles, then turn the heat down to warm. This process usually takes a couple hours, so make sure you are preparing in advance! -Serve with or without some spiced rum! 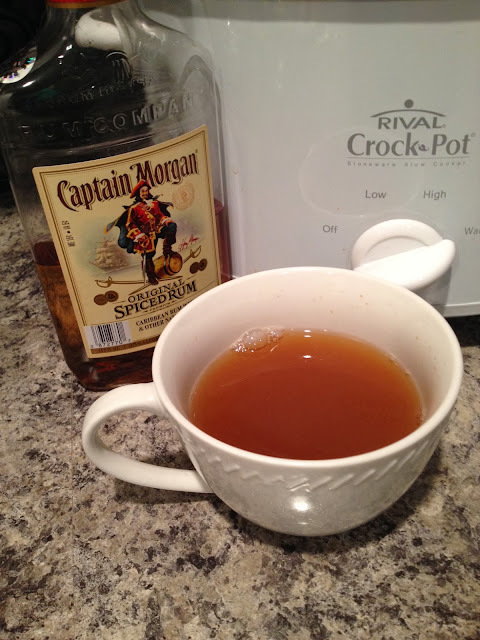 I leave the rum next to the slow cooker and let people add it to their individual mugs as they please! I'm telling you...people CANNOT get enough of the mulled cider or the pumpkin dip! I'm making both of these for our staff meeting tomorrow...I will be sure to pass on your blog spot when everyone starts oogling over them! I found your blog through pinterest and am hooked. We actually have some of the same fabric in our living room and I'm a junior high / high school teacher too. I'm now subscribed to email. Well welcome!! Sounds like we have a lot in common!! :) Secondary teachers unite!! Ha!